Companies are now asking for more than technical expertise to help them keep pace with technological change. The best companies are seeking professionals with the advanced skills to lead that change. The “intelligent digital mesh” is a moniker recently applied by Gartner to the construct of our collective future. It’s a future where the skills of IT specialists -- from the cloud architects and web developers to IT administrators and software engineers – will be in high demand. 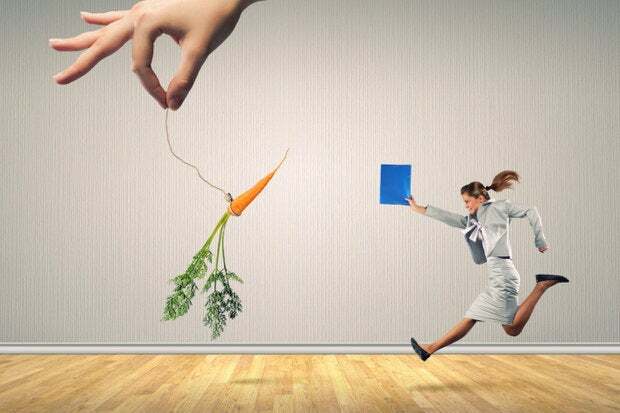 Recruiters are already racing to find the most talented candidates. But companies are now asking for more than technical expertise to help them keep pace with technological change. The best companies are seeking professionals with the advanced skills to lead that change. And that’s an entirely different search altogether. Ecosystem and platform development are rapidly accelerating in so many areas: robotics, virtual and augmented reality, AI, IoT, blockchain and more. These all require the highest caliber of technical skills and expertise. But is a deep understanding of advanced machine learning and killer coding skills really what propel the best and brightest into leadership positions? Technical leader need strategic thinking to set a clear vision, inspire high-performance teams and make the right decisions in the face of incomplete information, limited resources and other challenges. Strategic thinkers integrate disparate information into a cohesive whole. They anticipate customer trends and position their company and products in a competitive landscape. They go beyond a functional area and focus on how their group contributes to corporate success. Technical experts are masters of facts, data management, and control processes but to advance as leaders they need to hone their ability to work with and through others. Leaders inspire their teams, manage conflict, cultivate diverse perspectives and give feedback that rapidly moves others toward shared goals. Emotional intelligence is important for success. This is particularly true for technical professionals who need to know their own biases, strengths and weaknesses. They need to understand the culture, working style, functional background and agenda of others in order to connect with and influence them. Flexible leaders know when to use technical and analytic skills and when to be conceptual and creative. They integrate multiple perspectives and have a range of problem solving and management approaches ready to use. Flexible leaders have their core leadership style and the awareness and skills to flex that style when needed to achieve results. Engineering, science and technology professionals are proficient in the technical language of their fields. In that domain, credibility and influence come from communicating with like-minded colleagues who respect their expertise. But leaders need to communicate with diverse stakeholders and compete for resources in the face of multiple priorities. Technology professionals who aspire to leadership must become skilled at influencing business leaders, building partnerships across functional areas and working effectively with multidisciplinary teams. Using clear, persuasive communication tailored to different audiences is key to achieving results with and through others. To become one of these highly prized leaders, technical professionals must transcend their silos and broaden their vision and expertise to convert technological capacity into industry breakthroughs. With that enhanced understanding, they can emerge as invigorated leaders ready to leverage opportunities, build and deploy talent, and achieve strategically-aligned results. The technology transformation -- moving to the forefront of that “intelligent digital mesh” -- calls for transformative leaders to construct the future. Companies seeking an edge are the ones finding ways to source and train future leaders. These leaders are the ones who make interpersonal dynamics central to their mission. They have the flexibility to connect all areas of an organization by building partnerships. And, most importantly, they are the ones who can see the forest and the trees.